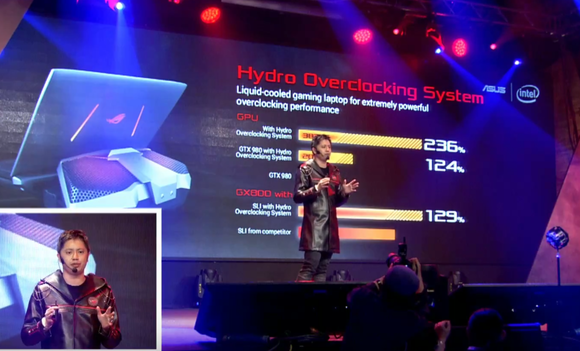 The water-cooled Asus ROG GX800 gaming laptop might as well be a desktop. 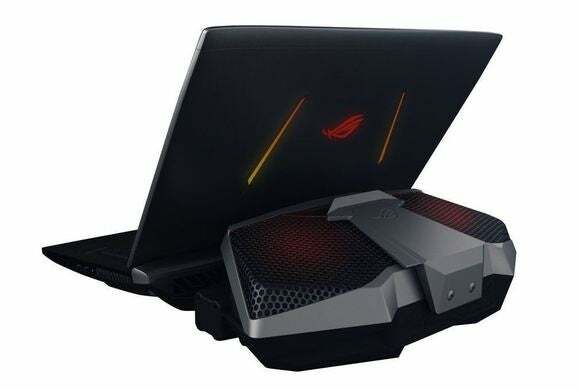 Last year, Asus blew away enthusiasts with the GX700, a crazy Republic of Gamers-branded gaming laptop that featured full-blown water-cooling thanks to a hulking dock that connected to the rear of the notebook. This year, the beast is getting even more badass. Asus ROG’s keeping the exact details about the GX800 water-cooled gaming laptop close to its chest, but what’s already been announced is intriguing indeed. The laptop will rock “Intel K-series CPUs” clocked at 4.4GHz and memory clocked at 3.8GHz, according to Windows Central, while the graphics firepower comes courtesy of a pair of unannounced Nvidia GPUs running in SLI. Asus recently teased a gaming notebook more powerful than a Titan X desktop graphics card. Presumably this is it, as that teaser image showed what appeared to be GX700-style water-cooling connectors, and presumably it’ll be rocking a mobile variant of either the new GeForce GTX 1080 or GTX 1070, Nvidia’s incredibly potent (and power-efficient) new graphics cards. Speaking of power, the Asus GX800 packs a pair of 330-watt power supplies in order to supply enough juice for all that gaming goodness. When the notebook’s plugged into the water-cooling dock it’ll crank up the clock speeds and performance capabilities of all its major components—hence the need for all that power. 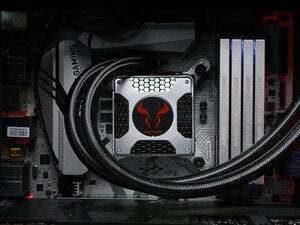 Check out our deep-dive into the GX700’s liquid-cooling if you’re interested in how it works. Just in case water-cooling and SLI graphics weren’t desktop-like enough, Asus is also equipping the GX800 with a full-blown mechanical keyboard, complete with multicolor RGB LED lights underneath the keys. When you'll be able to get your hands on one, and for how much money, Asus isn’t saying yet. Hopefully the GX800 becomes reality much faster than the GX700, which spent what felt like an eternity touring trade shows before it actually appeared on the streets.